Hard Hats are made of high-density polyethylene. The ratchet suspension models won’t fall off, even when working upside down. This Hard Hat model meets ANSI Z89.1-1997, Type I, Class E and C.E. EN 397 standards. 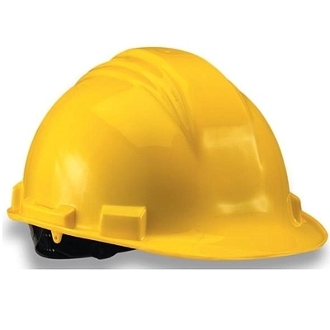 Hard hats will accept most visors and hearing protection devices (except HH4).